We’re talking all about decorating with family pictures over at Kristen Duke Photography today! We all have different design aesthetics and different color schemes, but we all agree that family photos should be bright and full of color! 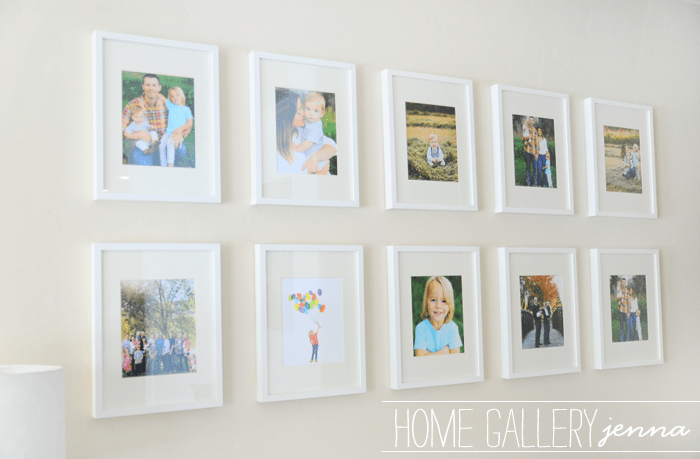 We all tend to cluster our photos so they have one focal point in the house, and it might be a little instinctive too. Not only does free up ledges, tables, and shelves for other decor, but it also keeps those fragile frames up and away from tiny hands. Keep reading for a full list of sources, and head to Kristen’s blog to see a whole month’s worth of awesome bloggers gallery walls! Nicole’s Wall: Ikea frames, The Curators constellation prints, Fancy Living tee pee print by Kelli Murray, Caravan chalk print Lady Hue family portrait in pen, Ashmae Family portrait in watercolor. Z Gallerie porcelain deer and Maypole felt balls. Emily’s Wall: Ikea, Target, TJMaxx Frames, Lady Hue and Ashmae portraits, family Cross-stitch by her sister Charity. 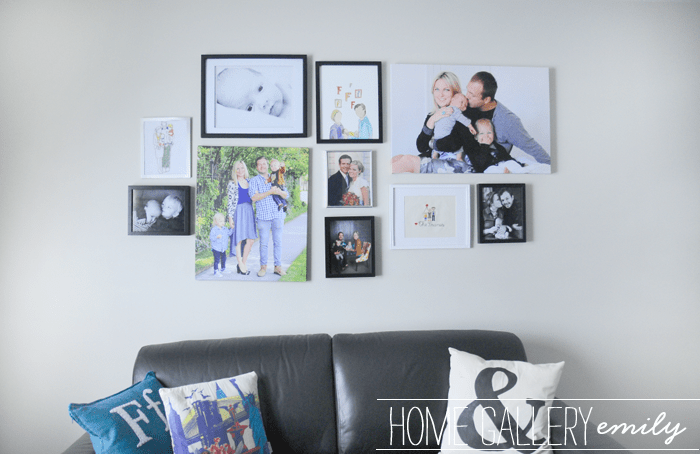 Jenna’s Wall: Ikea frames, and finger print memory art from this Small Fry post. 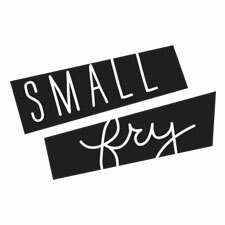 small fry valentines! happy valentine’s day! Oh I love it!! 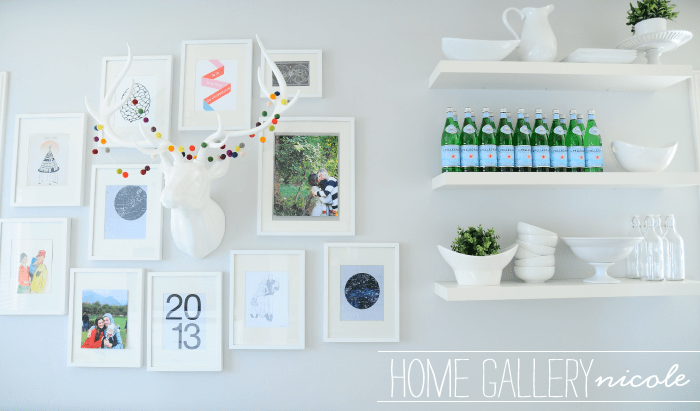 Ikea frames are the best – I need to make a trip down there and grab some asap. These look great. I have been wanting to do something similar for sometime. I will have to check out the Ikea frame section. Thanks girls! sideways kissy face emoji from me to YOU three girls. Toootally in love with that first picture!